Terraform is an infrastructure as code management tool developed by HashiCorp and released in 2014. It provides a standard configuration language for declaring infrastructure resources from a variety of services including AWS, Google, Openstack, and DigitalOcean. This standard configuration allows for declaring service agnostic infrastructure that is deployed across multiple providers. Once declared, Terraform tracks the state of resources and manages the actions necessary to maintain the declared configuration. We'll introduce Terraform and it's underlying provider and resource models and configuration language, discuss reusable modules, and demonstrate shared infrastructure using remote state. We'll also discuss extending Terraform's capabilities through it's provider plugin API. 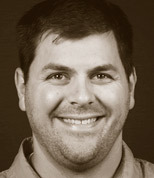 John Engelman is ObjectPartner's Chief Technologist for DevOps. In this capacity he consults on continuous integration and deployment pipelines, cloud architecture, build automation, application monitoring and highly available and scalable solutions for applications. John is a regular open source contributor including projects such as Ratpack, Gradle, and Terraform. John is the author of the Shadow plugin for Gradle, one of the most widely used community plugins. John is a regular speaker at conferences including GR8Conf US and Gradle Summit. Prior to joining OPI, John was a senior software engineer for the former Lockheed Martin Maritime Systems & Sensors business.